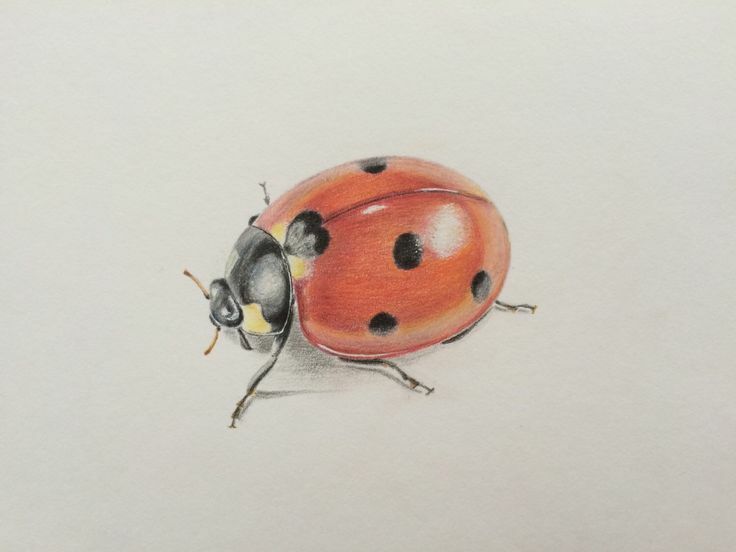 When it gets warm–even in the midst of winter–the ladybugs come out. I find them in the windows, crawling up to the sunlight. I didn’t know this but lady bugs hibernate, hunkered down in the crevices of windows, usually windows on the warmest (south-facing) side of the house. And then, when it’s warm, they wake up and crawl out. I might find as many as 20 or 30 at a time: tiny buggies wheeling around on the window. I worry about them because, in winter, there is nothing for them to eat, obviously. Lately, we’ve had a lot of faux spring days and lots of ladybug sightings. But there’s nothing I can do for them now. When spring arrives in earnest, however, I will collect them from our windows and take them outside. Last spring, I did this for weeks on end–gathering handfuls of them and then throwing them into the breeze. You probably know that farmers treasure ladybugs because ladybugs eat aphids and other “soft-bodied” insects that damage crops and flowers. In fact, farmers order boxes of ladybugs by the thousands, then disperse them over their fields. A ladybug lives for about 9 months, maybe a year on the outside. So those I find crawling on our sunny windows are halfway done. But they’ll bring in the next generation. When threatened, the ladybug will act like a tortoise, pulling its legs into its shell. Then it will excrete a yellow spot of foul-smelling liquid–its own blood. Most predators leave them alone because, with their bright don’t-try-it coloring, they look like trouble. 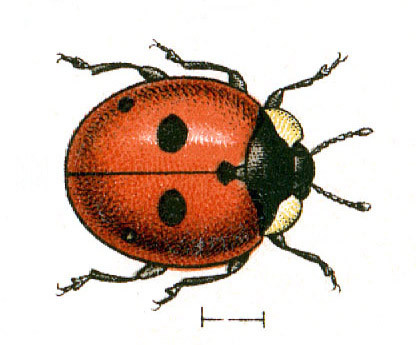 The kind we’re finding in our windows is orange-red with black spots, probably the Coccinella septempunctata. 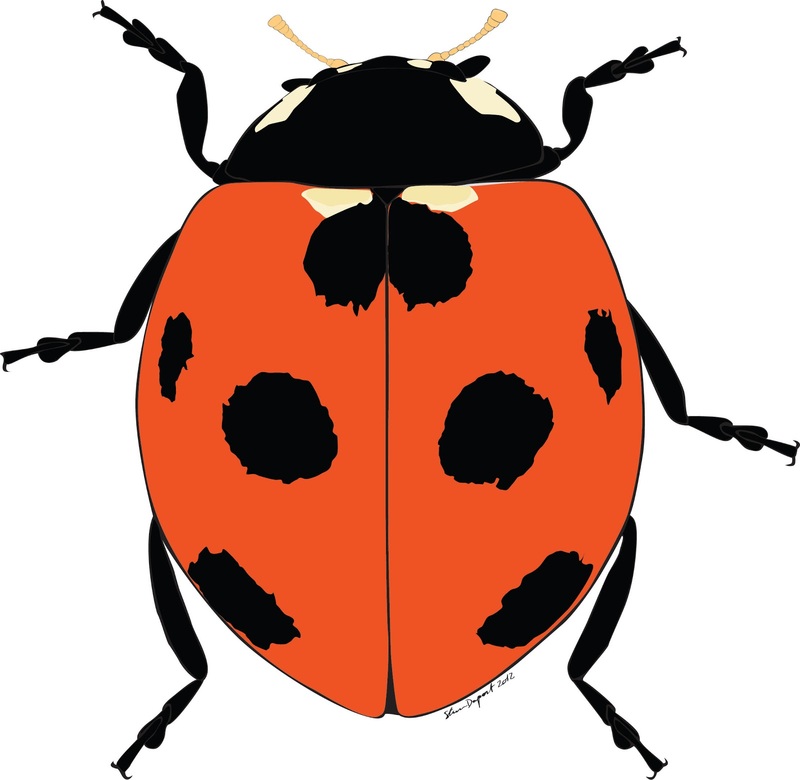 There are about 300 different kinds of ladybugs in the U.S. We’ve seen several varieties on our farm. 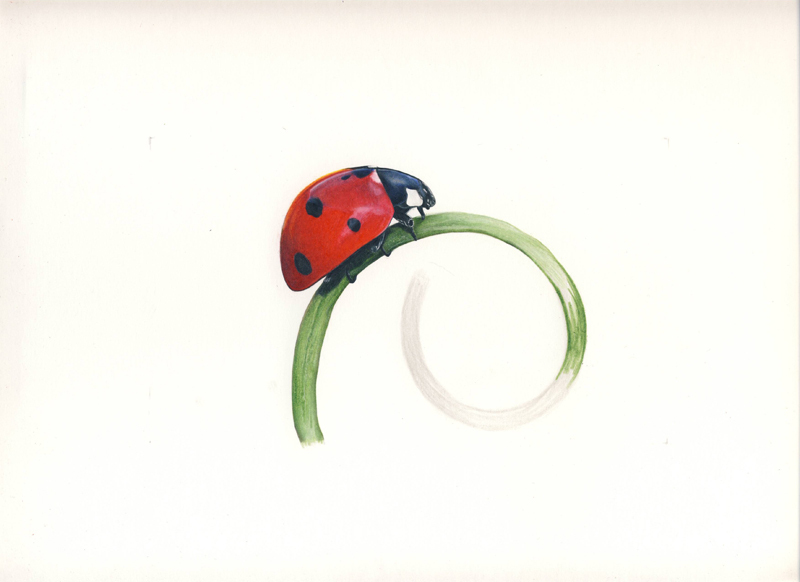 Many cultures consider the ladybug a sign of good luck. As cute and beneficial as they are, how could they not be?